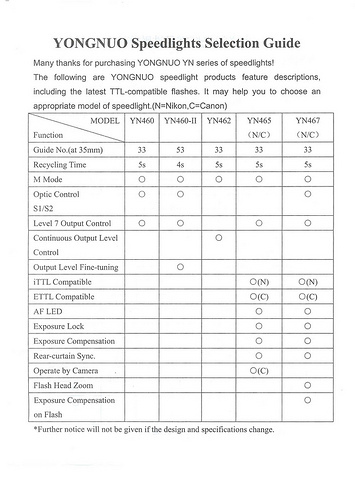 Yongnuo have been including “speedlight selection guides” in the packaging of their YN-series flashes. 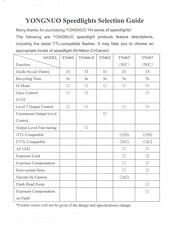 The guide compares the features of all existing YN-46X series flashes, including the new autozoom/TTL YN-467. The YN-467 has been released for Canon and the Nikon version is said to be coming soon, but with no confirmed date.